Spring has finally sprung! For much of Canada that means buds in the trees, migratory birds returning to breed, and in a few weeks the salmon run will be in full force with millions of salmon returning to spawn in the rivers and gravel beds where they were born. But in British Columbia’s Coquitlam River, the brilliant red sockeye salmon that once passed through in the thousands have not been seen for some 105 years. This is due to the building of British Columbia’s first hydroelectric dam on Coquitlam Lake, which has made it difficult for the salmon to get back up the river to spawn. 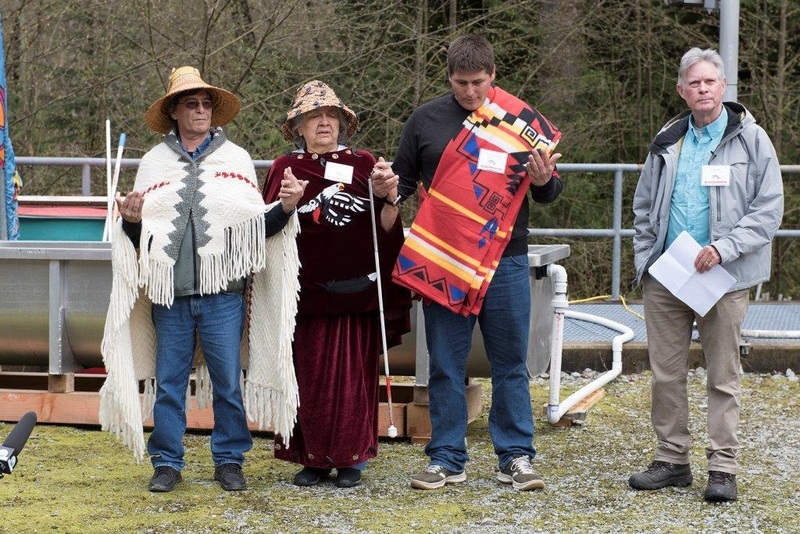 This century-long crisis has been addressed only over the past 13 years, during which the Kwikwetlem First Nation has been working on restoring the population via improving juvenile fish outmigration and initiating a hatchery program. 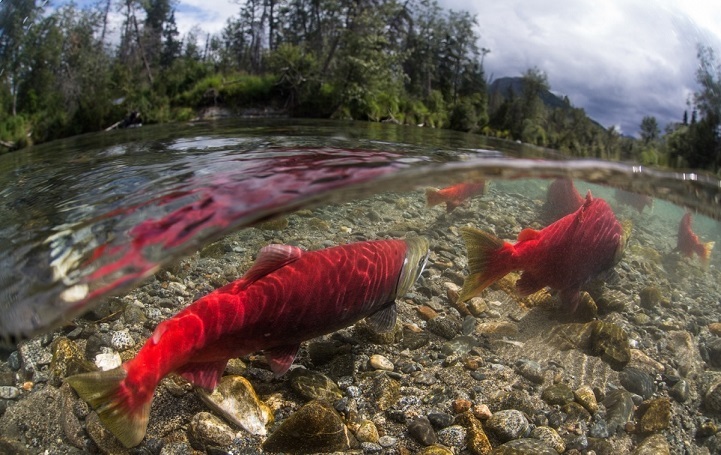 This sockeye salmon migration in particular is culturally important to the Kwikwetlem First Nation, whose name literally translates to “Red Fish Up The River”. 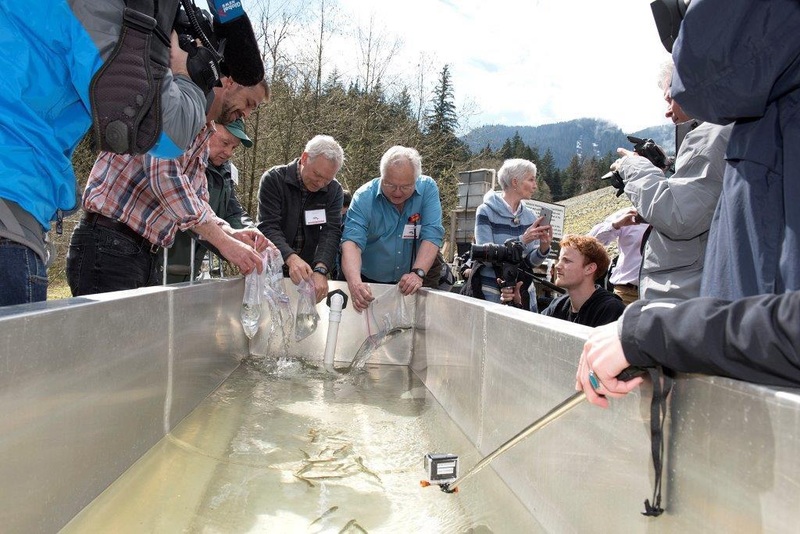 In 2017, nearly 5,000 hatchery-reared juvenile salmon (or smolts) were released in a ceremony below the dam, and some 50 adults from this release are expected to return to the Coquitlam River this summer and fall. These adults will be captured and transported to a hatchery, where their eggs will be fertilized, reared, and released back into the Coquitlam reservoir to bolster the population and help us to better understand the species’ lifecycle.